Our founder and President began surfing as a young teen off the coast of South Florida. His after-school pastime quickly became his passion. This passion, which he balanced with school and other typical teenage responsibilities, never abated. As he moved on to college, he deliberately chose a school that allowed him to surf while pursuing his degree. It was in college that his entrepreneurial skills took hold and he began traveling the world to surf. After years on the beach and in the water he realized the overwhelming need for eye protection. The lack of sunglasses and goggles was readily apparent. So SeaSpecs was born. Founded by a waterman - for watermen and water women. He understood that watermen and water women come from all walks of life and that many couldn't afford "brand" name sunglasses. He designed SeaSpecs so that they could be affordably priced. 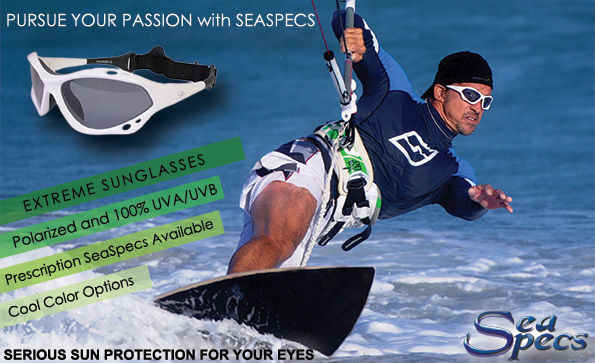 Now everyone can have serious sun protection for their eyes and pursue their passion for years to come.